The latest development in China's charm offensive against Taiwan -- an announcement of "31 measures" intended to encourage Taiwanese to study, work and invest in China -- has forced the government of Taiwan to consider new ways to grapple with the threat posed by such inducements. As with previous offers, China's "31 measures" were presented as being "advantageous to Taiwan" and came unilaterally from Beijing. Such an approach demonstrates China's efforts to win the hearts and minds of Taiwanese people while circumventing the democratically elected government of Taiwan. Beijing has employed such tactic for many years since the pro-unification Kuomintang (KMT) administration. However, unlike earlier KMT governments, which critics have said were dismissive of China's ulterior motives, the current Democratic Progressive Party (DPP) government has shown itself ready to react more aggressively to such measures. 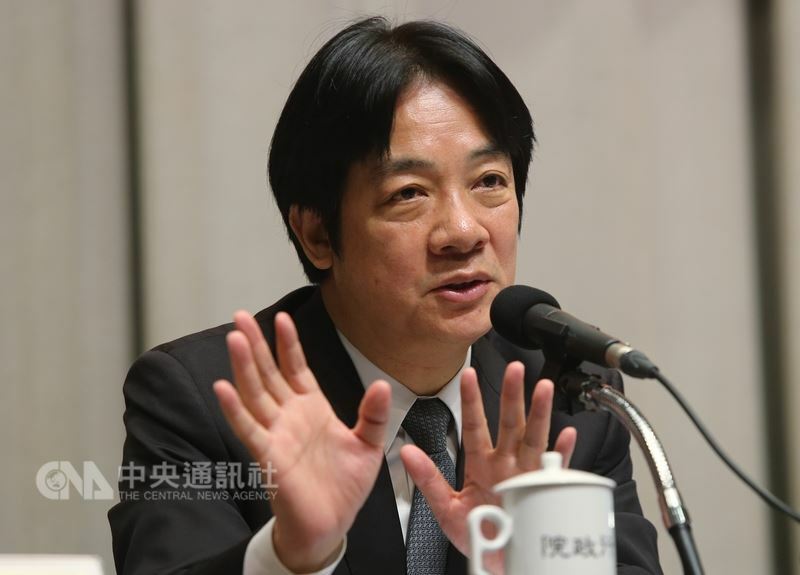 Premier Lai Ching-te (賴清德) has said that the incentives outlined by China should be renamed "measures targeting Taiwan," as opposed to "advantageous to Taiwan," to unmask Beijing's use of semantics. China is trying to "undercut Taiwan" by re-purposing the country's resources to meet its own economic needs and eventual goal of annexing Taiwan, Lai said. In response, the government announced a "Four Directions and Eight Strategies" policy to "strengthen Taiwan" by focusing on improving the local investment climate and reversing the brain drain. It has also sought to draw attention to the fact that what China is touting as "unprecedented" opportunities for Taiwan to share in its economic growth are based on measures it "has previously proposed but never put into practice." Asked by CNA for an example, the Mainland Affairs Council (MAC) cited the fifth initiative in the package -- China will open up government contracts to Taiwanese firms and provide a level playing field. The fact is, according to the MAC, prior to the announcement of the package on February 28, Taiwanese businesses were already entitled to participate in such bidding, but have often run into obstacles such as local favoritism that constitutes discrimination in the tendering process. 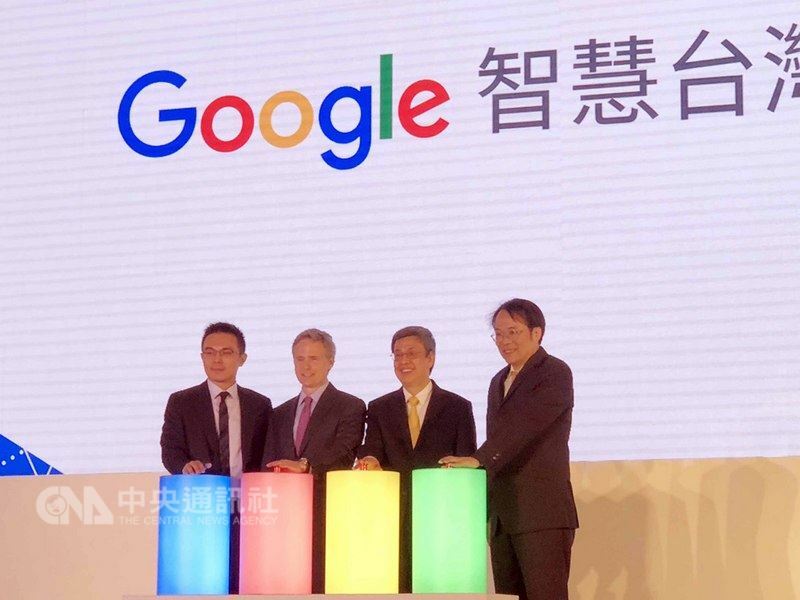 In terms of the slew of inducements aimed at luring Taiwanese talent to seek work or establish startups in China, MAC spokesperson Chiu Chui-cheng (邱垂正) said such offers have been made without implementation rules and are likely to be just sweet talk "as has often happened before." Without implementation rules and negotiations it is likely the offer will be so much "hot air," as many China-based Taiwanese businesspeople have said, or an example of China waging "psychological operations" or "information warfare" against Taiwan, Chiu said. Western countries have only recently become aware of China's "sharp power" offensive, said Chiu, referring to the phrase coined by Christopher Walker and Jessica Ludwig from the Washington-based National Endowment for Democracy in the report "Sharp Power: Rising Authoritarian Influence" published in late 2017. In Taiwan, China's exercise of "sharp power" through a combination of intimidation, enticement and infiltration "has long been felt by people in everyday life," Chiu said. In response, the MAC has made it a priority to review laws that regulate cross-strait exchanges to guard against Beijing's "united front" moves that "harbor political intentions," he added. 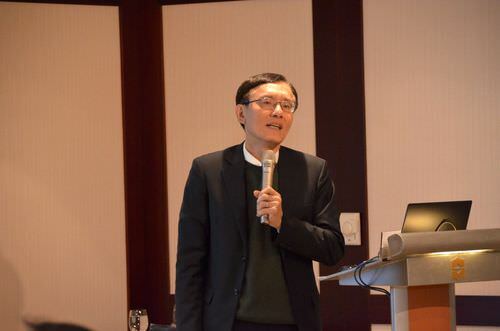 In contrast to such officially expressed suspicions, John Chen (陳子昂), senior director at the Institute for Information Industry affiliated with the Ministry of Economic Affairs (MOEA), said that the current situation could offer Taiwan an opportunity to turn itself into a regional research and development (R&D) hub. China's preferential policies for Taiwan, including treating Taiwan nationals the same as Chinese nationals, should be seen as beneficial to Taiwan in the sense that foreign investors eyeing Chinese markets will be more inclined to establish joint ventures with Taiwanese firms so as to be treated the same as their Chinese counterparts, Chen said. Chen said he recently heard about foreign investors floating the idea of establishing R&D centers in Taiwan because the Chinese incentive package has boosted the list of advantages Taiwan already has relative to neighboring countries -- low wages and a skilled workforce. The package could be used as a selling point to attract foreign investment to Taiwan and increase the number of foreign companies, which generally offer more generous pay than local firms, and thus help to create a virtuous cycle of rising wages in Taiwan, Chen said. Low wages are widely blamed for the brain drain Taiwan has been struggling to deal with. Over the years, many engineers in high-tech enterprises in Taiwan have been poached to go and work in China with a salary package that is 3-5 times higher than their current salary, or 7.5 times higher in the semiconductor industry, with board and lodgings provided by employers, Chen said. Chen said he has conducted on-the-ground research to gauge how many people might be encouraged to leave Taiwan by the incentive package which relaxed employment rules for Taiwanese professionals in various sectors. His work reveals that the lure of a higher pay packet could be offset by a range of disincentives that vary from sector to sector. "For example, the deteriorating physician-patient relationship in China that has often put doctors as risk of being attacked is a top concern for local physicians." Semiconductor and artificial intelligence-based companies will be hit hardest, he said. 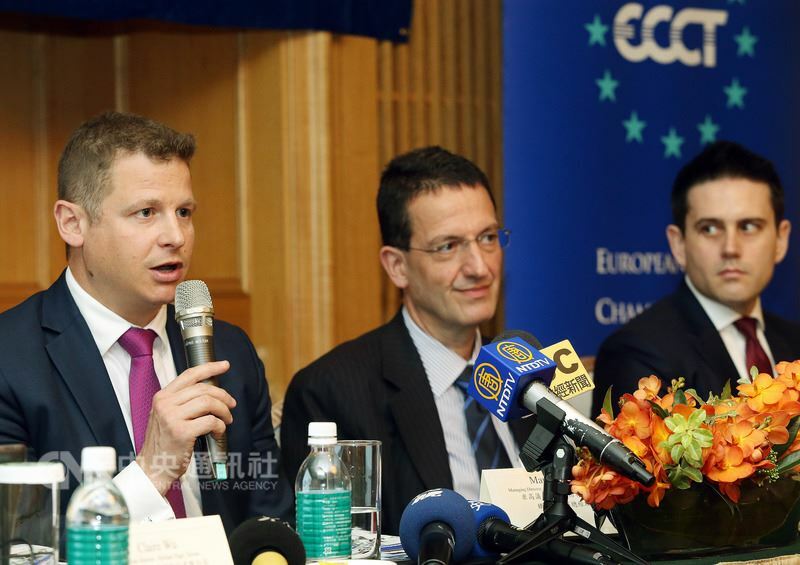 "China has been doing this to accelerate its industrial development for more than a decade. This is how it grew its LED industry." Asked about possible solutions to curb the high-tech brain drain, Chen said that governments are generally unable to force enterprises to raise salaries. Despite low wages being the main reason for driving Taiwanese talent to China, many return to Taiwan about three years later for various reasons, Chen said. "It could be they get sacked after companies outlive their usefulness; they don't fit in with locals; or they see working there as a means to an end and just pack up and leave after they have earned enough." To address the issue of low wages, President Tsai Ing-wen (蔡英文) has made higher pay for young people a pressing issue to be dealt with this year. 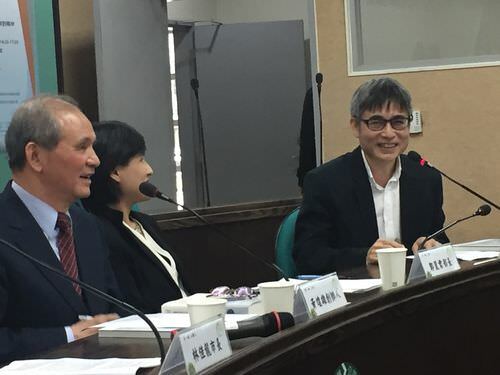 Her government has proposed the "Yushan Project" -- a three-year budget of NT$5.6 billion (US$190.9 million) for the recruitment and retention of exceptional academics and researchers. From 2018-2020, Taiwan plans to enroll 1,000 top academics and researchers from abroad, each eligible for up to NT$5 million per year in addition to their existing salaries. Meanwhile, NT$2 billion is available annually for schools to pay elite academics and researchers higher salaries, a program that is expected to benefit 10,000 people; and 8,000 outstanding professors will receive 10 percent in additional research pay, or NT$5,445, increasing their monthly research allowance to NT$59,895. The project has been put in place despite strong opposition from academic groups who said the money would be better used to solve more deep-seated problems in Taiwan's higher education system. Of these problems, the systemic issues behind the brain drain -- uncompetitive salaries for university teaching staff and joblessness among doctorate holders -- should be given precedence, Wu Jieh-min (吳介民), an associate research fellow at Academia Sinica's Institute of Sociology, said. The salaries of teachers in Taiwan are well below those in neighboring nations, Wu said. "The government should raise the salaries of all faculty across the board to help close the gap." Equal importance should be given to addressing the issue of unemployed Ph.D. graduates, a problem mainly resulting from the growing tendency of cash-strapped universities to cut full-time faculty positions in favor of hiring part-time teachers to keep costs low, Wu said. 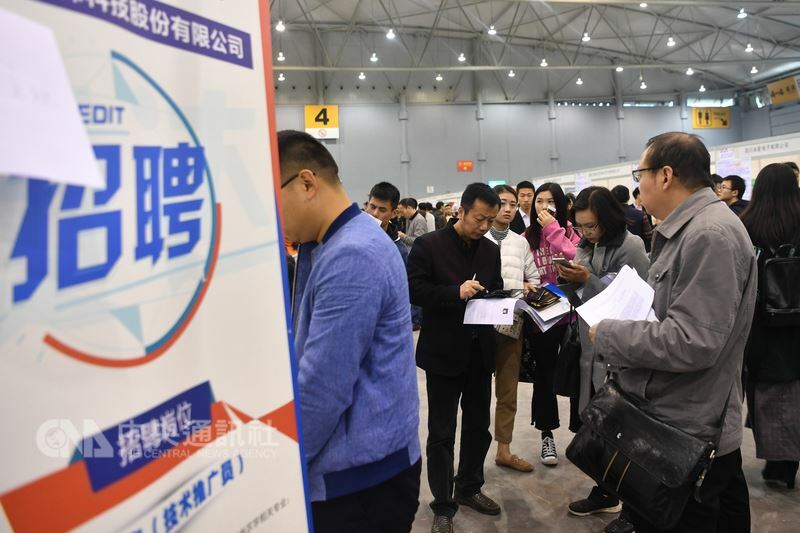 According to the government's latest statistics, about 728,000 people, or 6.2 percent of Taiwan's labor force of 11.727 million, worked overseas in 2016, among them 55.9 percent, or 407,000 people, in China. Unofficial estimate of the number of Taiwanese living in China range anywhere from 1-2 million. The government has not provided an estimate as to the potential impact of the "31 measures" on Taiwan, but it has set up a task force under the MAC to monitor and assess developments. At least two pollsters recently asked questions about the "31 measures" in related surveys to get a sense of how the offer was perceived by Taiwanese. They produced similar results, showing that about 40 percent of young respondents saw the incentives as a goodwill gesture by China. Leaving aside methodological problems with the surveys and the failure to compare changes in public attitudes over time, the results also serve as a "warning sign" because they indicate the disillusionment felt by young people about their future choices and the nation's prospects, Wu said. The burgeoning expansion of China's global influence was dubbed "sharp power" because it is manipulated for political purposes and in an effort to exert a corrosive effect on the political environment in targeted countries, Wu said. Recently, Canberra has proposed laws to deal with political interference by foreign powers after it realized the extent to which the openness of democratic systems can make them susceptible to China's uses of "sharp power," Wu said. "We have to put up our guard and be vigilant when it comes to China's maneuvers in Taiwan. It's a matter of national security." ●Xi as China's lifetime president: what does it mean for Taiwan?